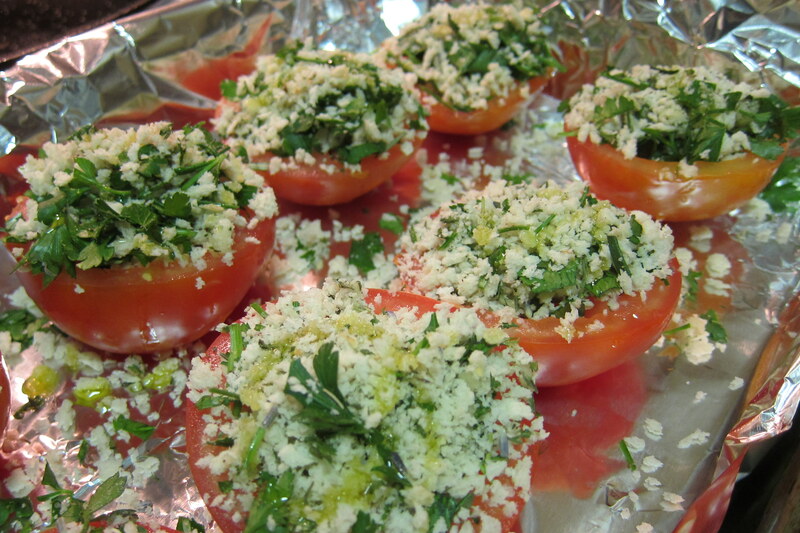 This is another recipe from The Essential Mediterranean Cookbook. 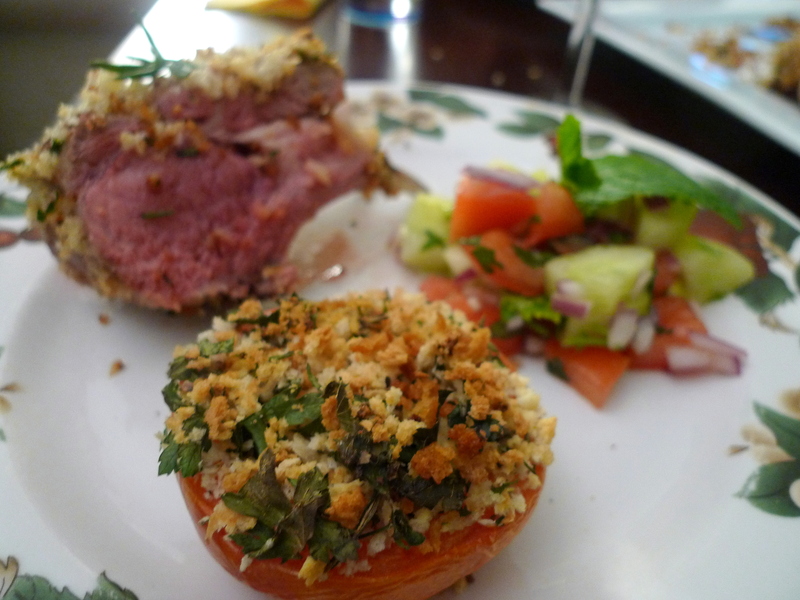 Jen was making her Herb-Crusted Rack of Lamb with Honey Mustard Glaze and we wanted to have a lighter, but still delicious side dish to serve it with and roasted tomatoes provençal were one of the suggestions. This dish is super easy to make and I think it is one of those where if you’re missing some of the herbs, you can easily substitute in dried herbs or just double the portion of the herbs you have on hand. I had a lot of parsley, but was missing fresh basil and oregano so I substituted in Herbes de Provence. Preheat the oven to moderate 350°F. 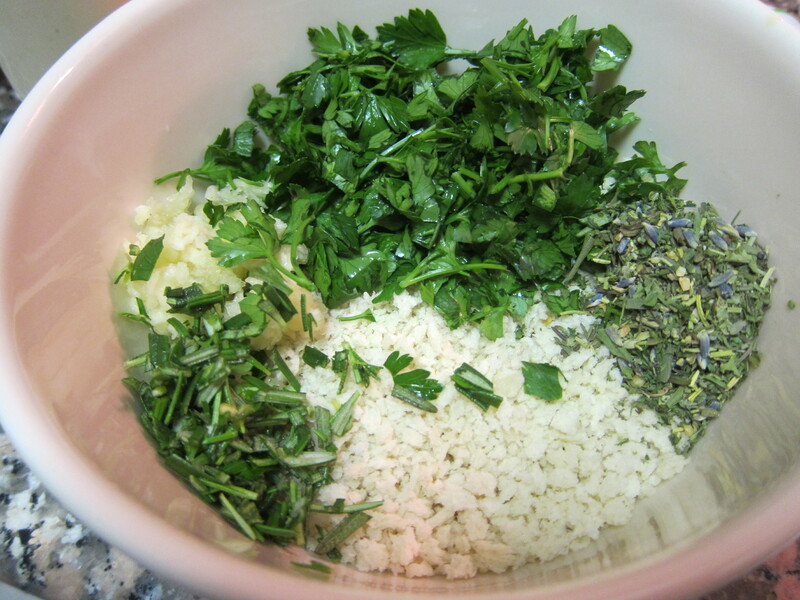 Combine the breadcrumb and herbs in a bowl and season with salt and pepper. 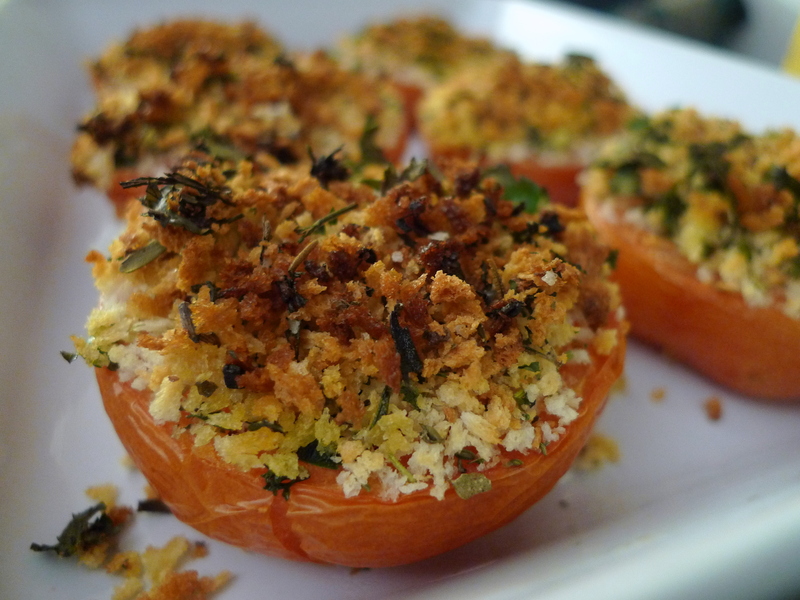 Halve each tomato horizontally and scoop out the core and seeds with a teaspoon. 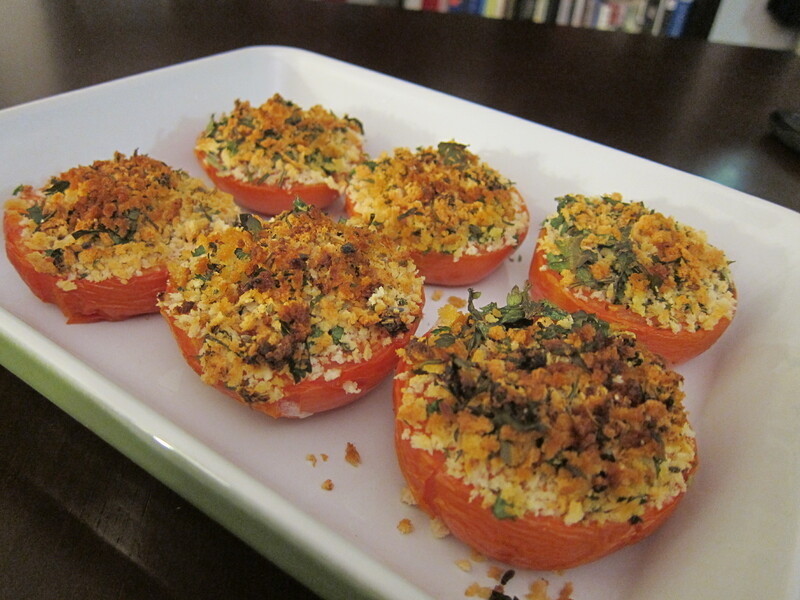 Sprinkle garlic into each tomato, then top with the breadcrumb mixture. Drizzle with olive oil and bake for 40 minutes, or until soft. Serve as a side dish to any savory meat, such as Herb-Crusted Rack of Lamb.